For those not in the know, Flings are side projects that VMware engineers work on in their spare time, and offer out to users for feedback etc. 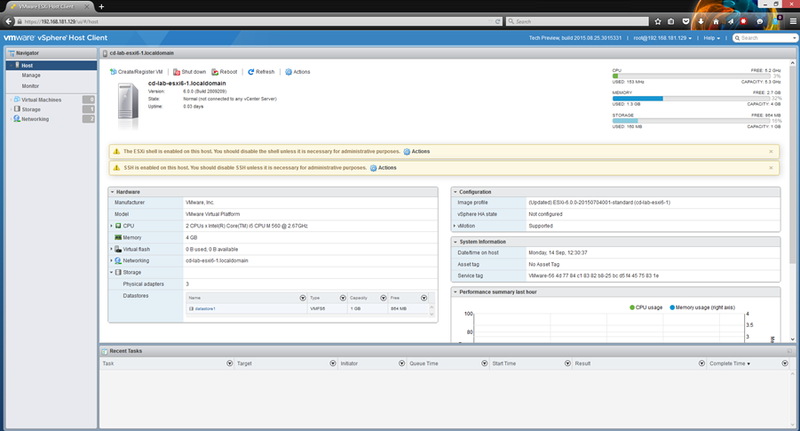 This Fling provides an HTML interface to allow you to control your ESXi host without the need for the viclient. The Fling is installed onto the host directly. 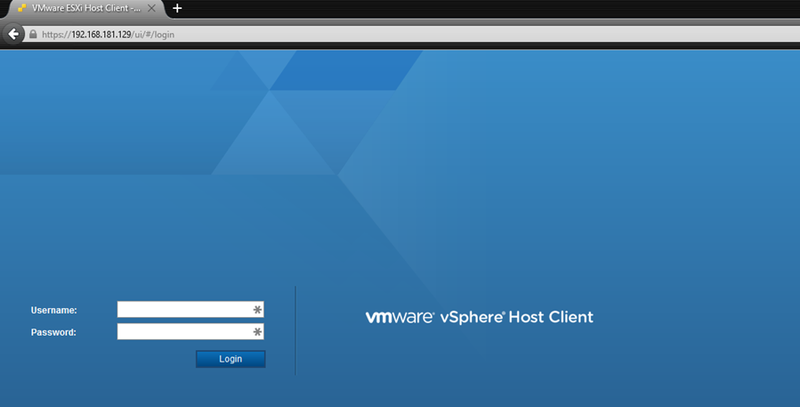 The installation files are contained within a VIB (vSphere Installation Bundle https://blogs.vmware.com/vsphere/2011/09/whats-in-a-vib.html). Once installed you can access the management interface via https://<hostIP>/ui from your browser. This is a really nice and useful utility, which makes managing a standalone host all the better in my opinion. There are 1-2 limitations around storage management, but I’m sure this functionality will be added in the future. It’s easy to see this the direction VMware should be taking with future management tools, and hopefully it’s only a matter of time before we see this fully integrated into the vSphere suite.